Wall: two sets of wires, Set one: white, black, ground. Set two: Red, white, black, ground. -in the wall box, the whites are twisted together, the grounds are twisted together, the sole red goes to the top screw on the switch, the black(from set one) wraps around the bottom screw on the switch, but then extends to a wire nut where it meets the black from Set two. When installing the light, I connected the white from the new fixture to the white in the ceiling. the black from the fixture to the black in the ceiling, and the ground to ground. Then capped the red. I got power to the light, but the light wouldn't turn off. Then, I tried switching the black and the red wires. My new configuration was white from fixture to white in ceiling. Black from fixture to red in ceiling. Capped black in ceiling. And nothing. No light. Any ideas as to why I either have a light that I can't turn off, or no light at all?? That is an interesting problem. 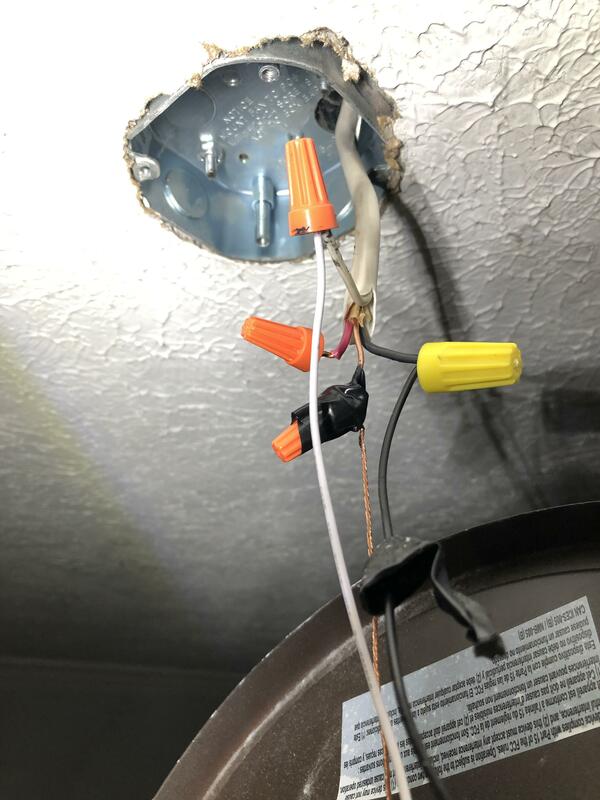 From what you have described, I would expect the black wire at the ceiling fan box to provide constant power and the red wire to be switched by the wall switch. You didn't say but I'm assuming the black wire of the old fan was connected to the red wire in the ceiling box? I'm also assuming that the wall switch worked fine before you started on this project. While uncommon I suppose the switch could have failed. What I might do is temporarily connect the black wire at the bottom of the switch to the red wire at the top. If light comes on, then replace the switch. 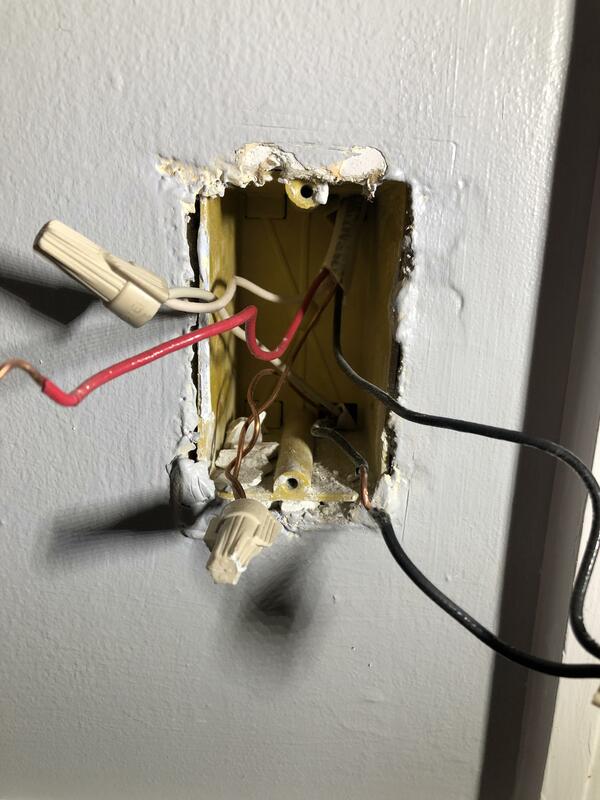 You are correct, the black wire of the fan was connected to the red wire in the ceiling box and the switch worked before I started the project. Here is where things get really interesting, During the install, I also replaced the switch with a brand new single pole switch, so I doubt it's the switch failing. I tried your suggestion with the the following configuration: Black from fixture connected to red in ceiling and white from fixture to white in ceiling and no dice. No power. then, connected the red from switch to black from switch. Still no dice. Got back up on the ladder, and switched the red and black in the ceiling (so black to black, white to white, red capped) and power came back, but no switch. 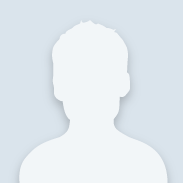 Wow, that's really weird but there has to be something missing. Are you sure you bought a single pole switch? Discounting the green ground screw, how may screws does the new switch have? Have you tried using the old switch, to eliminate the possibility of the new switch being defective. The other option, is to eliminate the red wire completely. At the switch box, take the black wire from what you called "set one" and connect it to the bottom screw of the switch. Take the black wire from "set two" and connect it to the top screw. Cap off the red wire and tuck it out of the way. At the ceiling box, connect the black wire coming into the box to the black wire of the fixture. Cap off the red wire and tuck it out of the way. If none of that works, post pictures of both boxes. Take several pictures of each junction box, from different angles. Right? It’s driving me crazy! I am positive it’s a single pole, just two screws on the same side of the switch plus the free ground. And I did try the replacing it with the old switch and unfortunately I have the same problem. I never thought about eliminating the red all together. I am out of town for work this week, but will be home on Sunday. I will try it then. If it doesn’t work, I will post pictures of what I’m working with. To my millions of followers.... I wanted to give you an update. I FOUND THE SOLUTION!!! 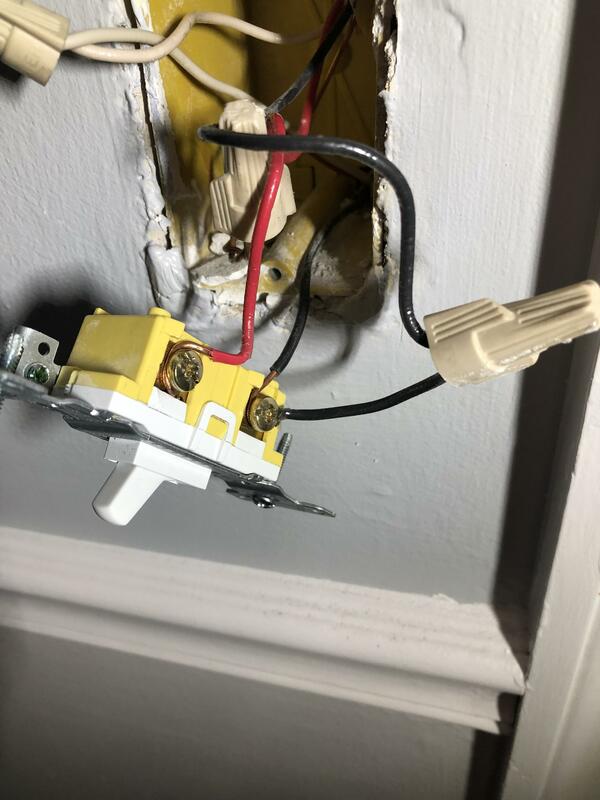 Turns out the switch was not only tied to the ceiling box, but also tied to a split receptacle in the wall. Before I changed the light fixture, I previously replaced all the wall outlets. 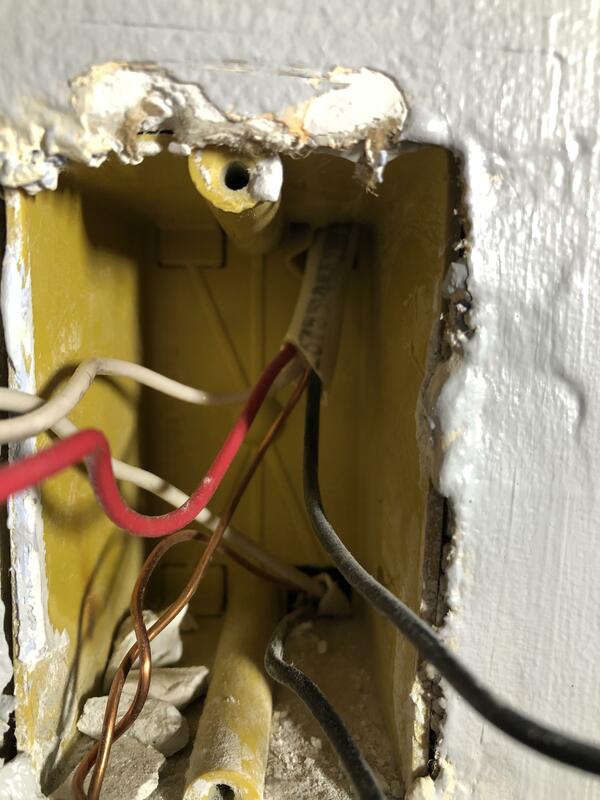 Never working with a split receptacle, I didn't know to break the tab on the outlet connecting the hot sides. I pulled the outlet out, broke the tab, and shazam! the switch worked. Thank you adam444 for all your help!